At Baaad Anna’s we are fiercely proud to support local and indie talent, and we have a few new partnerships that we are proud to launch for this year’s KnitCity this weekend. Wish we could have been there! But we will launch the west coast debut on October 1st! Ash Alberg of Sunflower Knits is a knitwear designer and natural dyer of yarn and fibre from Winnipeg, Manitoba. Some have already discovered the beauty of the Five of Heart naturally-dyed silk/merino mini sets hidden away in our store, but this modern and earthy designer has just launched a new book, that will have its west coast launch at our booth at KnitCity! We are thrilled to bring the hard-copy version of this collection of patterns to BC, and can’t wait to the be first to get these stunning patterns onto the needles of local knitters. AND Ash has signed all of our copies of this book for you! Congrats Ash on this amazing achievement! You have put some blood sweat and tears into these gorgeous pages!! 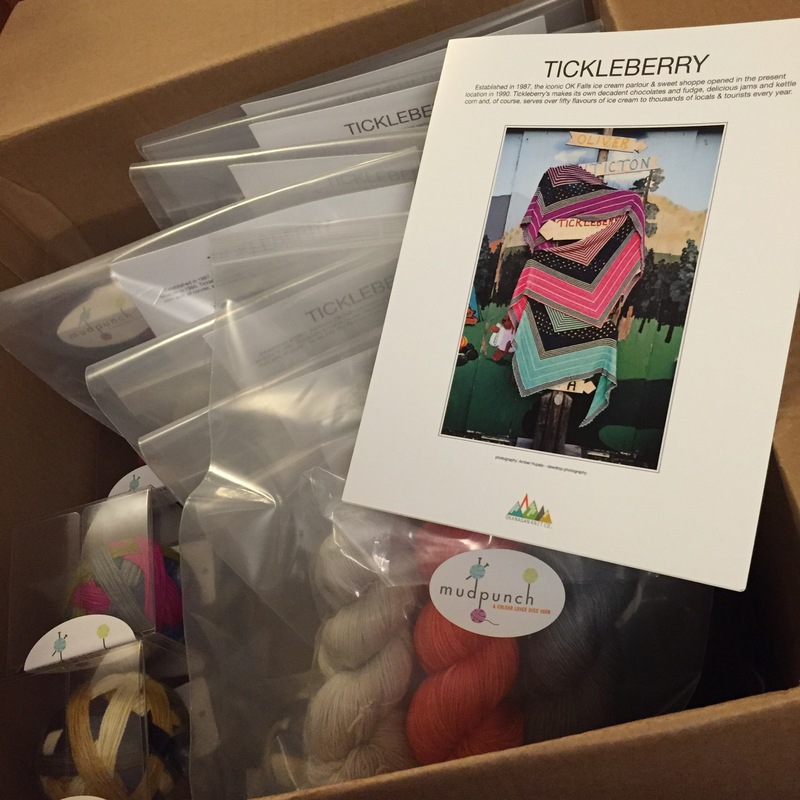 We’re stoked to partner with Mudpunch and Okanagan Knit Co in offering the Tickleberry kits! And in case you can’t make out the beauty of this kit, here’s some additional teaser pics. Everything you need to knit this gorgeous shawl on your way home from KnitCity all in one bag (we can even help you find the right needles)! And if you look close, you can also see a few of the huge order of BALLS we received from Chantel of her Mudpunch self-striping sock yarn that will also be available this weekend in limited quantity. So glad to celebrate local and Canadian talent this week! ← New Yarn: Drunk Yarns… Dye Your Own!